Her daily routine was a grueling one. Most days this summer Stone was on the water rowing by 6 a.m., followed by weight-lifting and calisthenics under the supervision of her trainer, Glenn Harris, head strength and conditioning coach at Boston University. After lunch and a break, she would typically return to the river for her second row of the day. 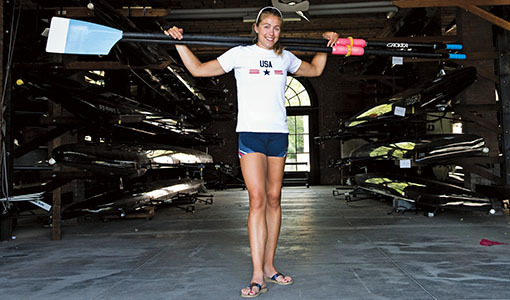 All of this preparation came under the gaze of her father and coach, Gregg Stone, who was the nation’s top-ranked men’s single sculler in 1980. Something was working. In recent years Stone has proven her competitive mettle by winning the Head of the Charles regatta three times in single sculls.